Let the charms of the fairy folk into your garden. This dainty sprite is anything but demure when she casts her spell over nature's realm. 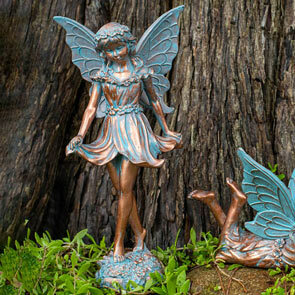 From her delicate wings to the tips of her toes, she is specially painted to resemble aged bronze, complete with a rich patina. Lovely outdoors or in.